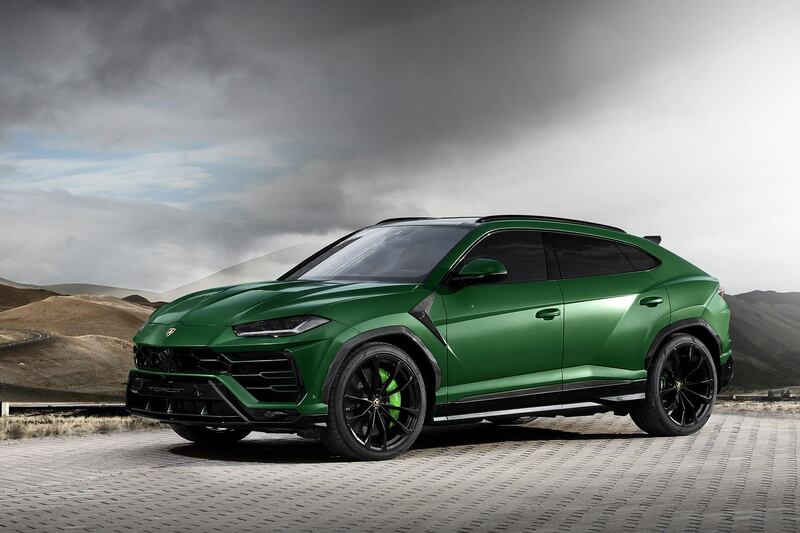 Ever since its unveiling, no tuning company has dared to take on the imposing Lamborghini Urus. 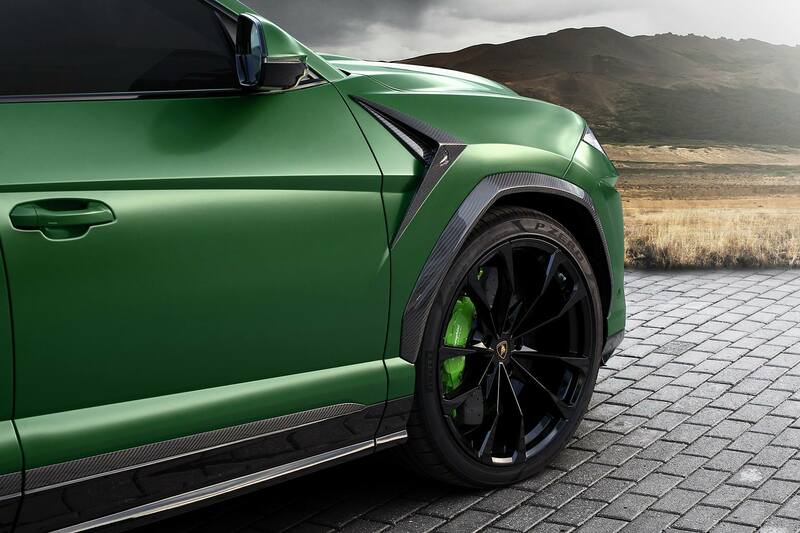 The SUV is aggressive enough to leave the impression that it needs no modifications whatsoever. 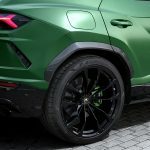 Even so, crazy technicians from the Russian shop TopCar, who are well-known for their challenging projects on the most difficult to mod vehicles, have taken matter into their own hands and decided to spicy up things a little bit, by wrapping the Urus with a new body style, while adding some new cool stuff made from carbon fiber. 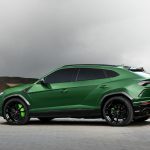 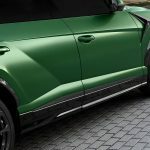 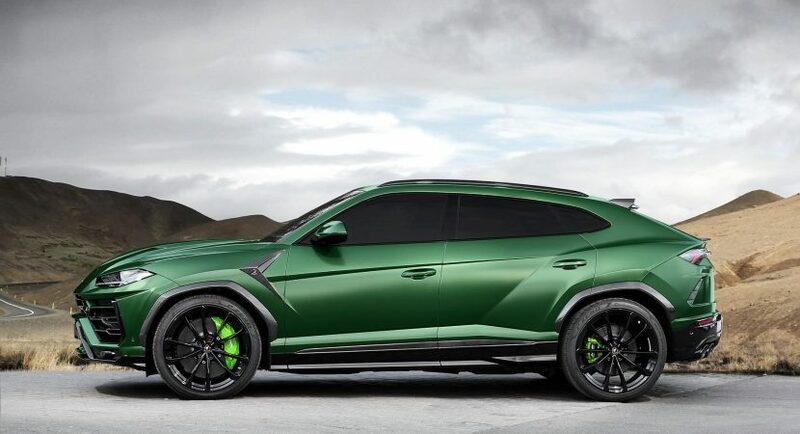 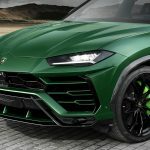 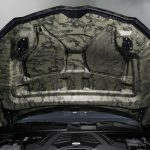 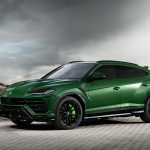 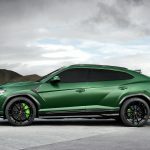 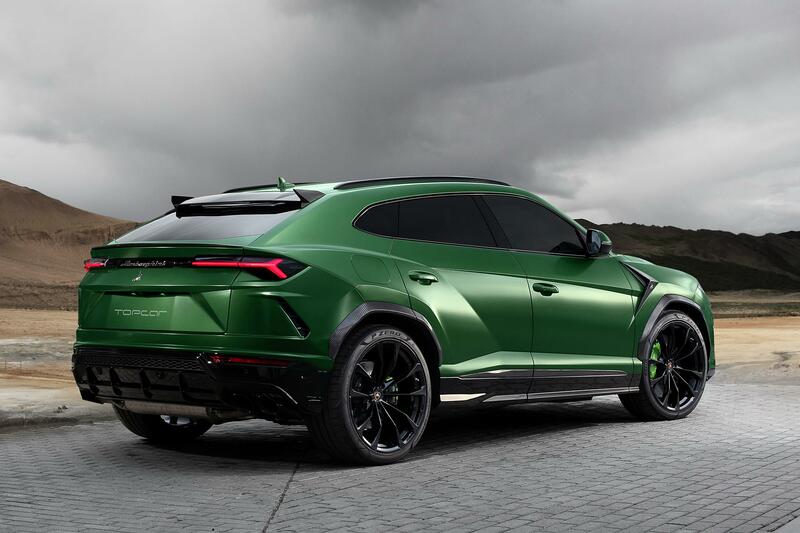 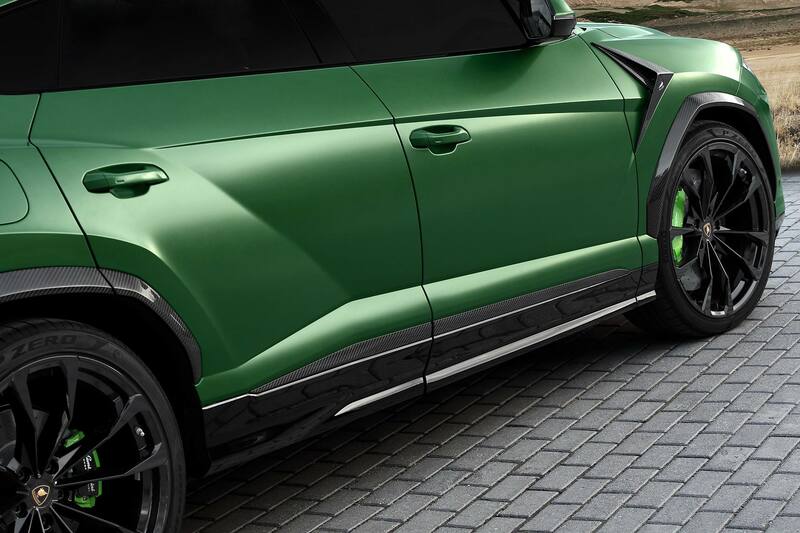 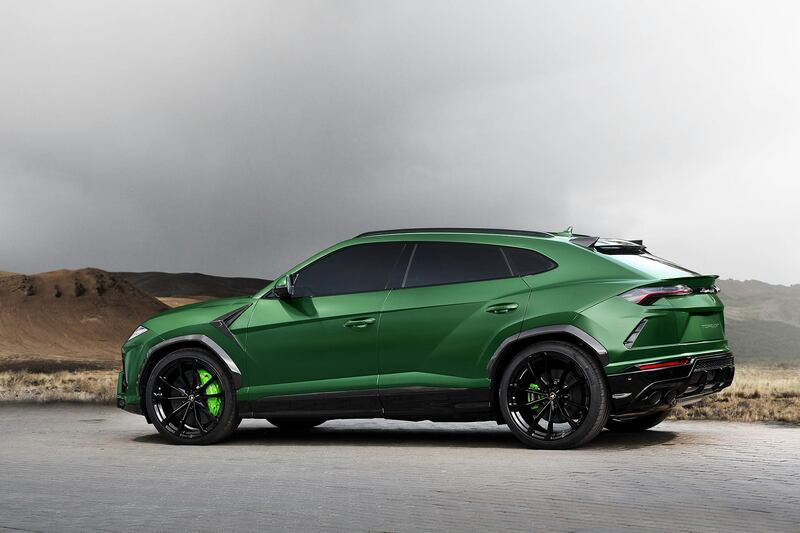 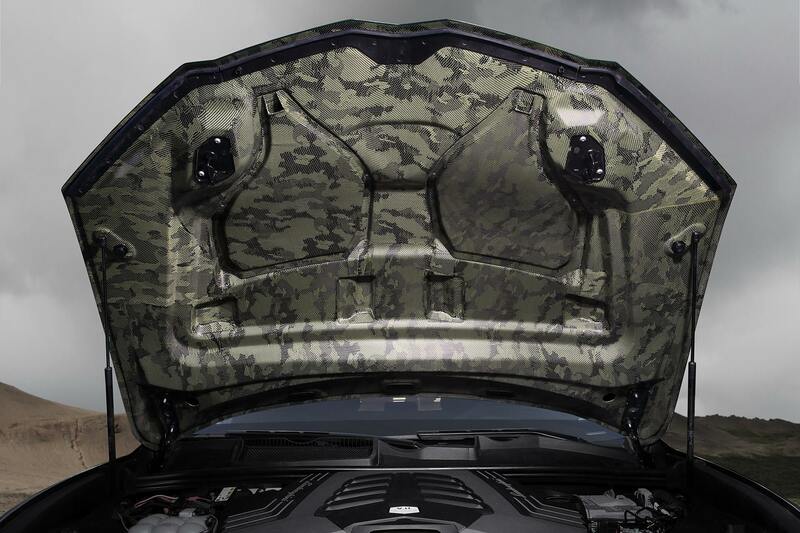 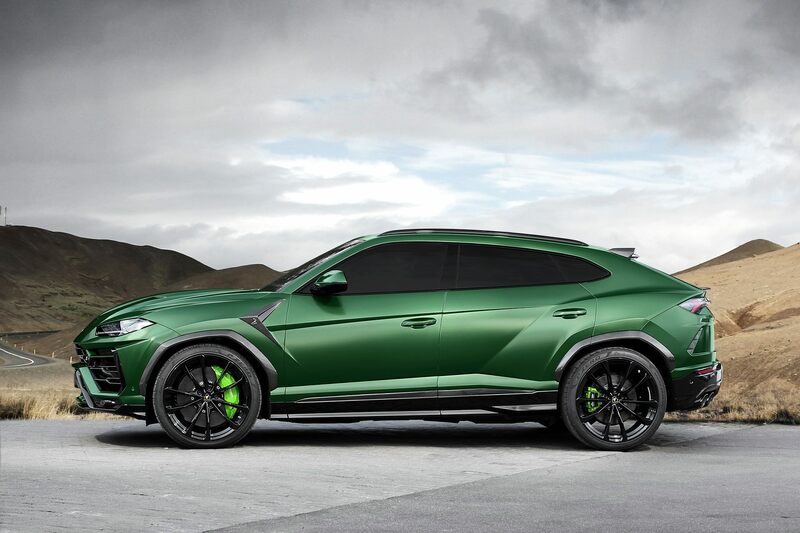 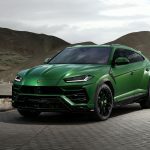 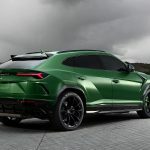 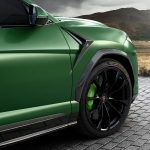 The first striking elements around the body is the semi-matte Military Green which transforms this Urus into a genuine military vehicle, ready for combat in the rain forests. 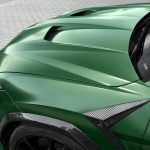 As for the new body parts, made from carbon fiber, the specialists from TopCar announced the availabilith of no less than 12 pieces. 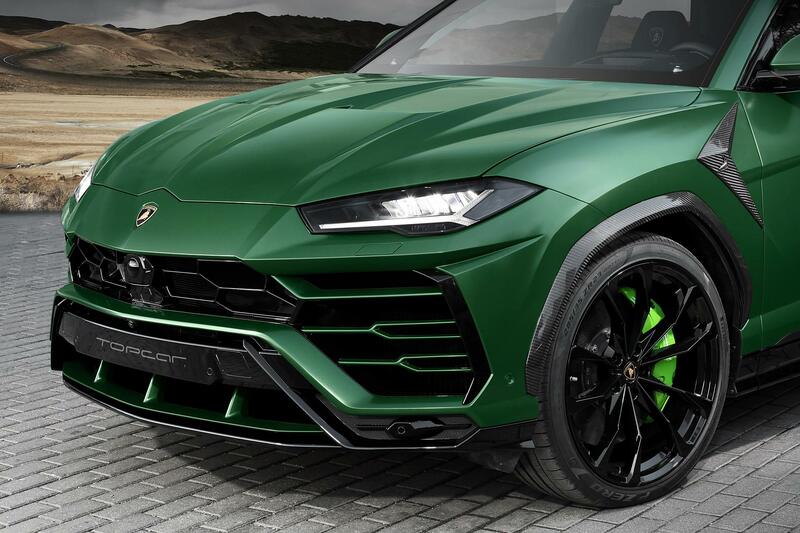 The prices are quite spicy. 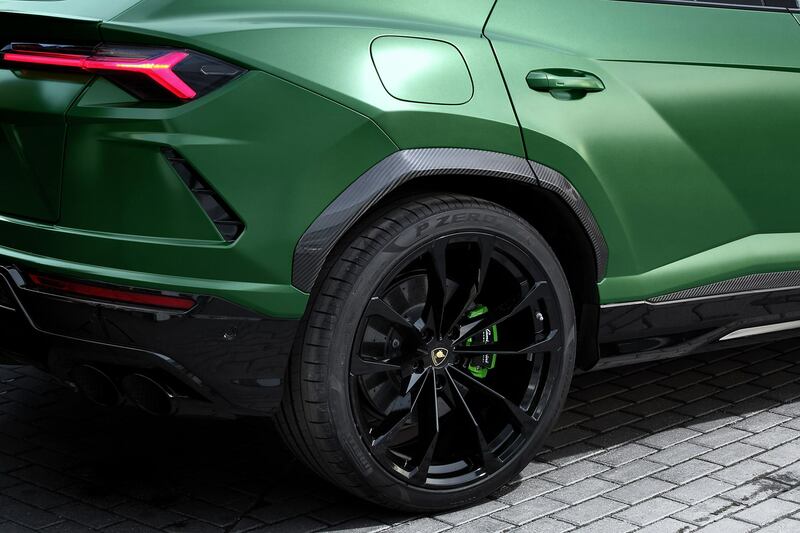 For instance, if you choose a carbon fiber front bumper, then you will have to pay 9,160 euro, while the door moldings will set you back at 1,400 euro. 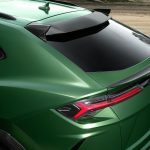 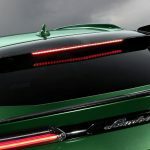 The package consists of a new bonnet, door moldings, front and rear fender extensions, new front and rear bumpers, rear top spoiler and rear diffuser, bespoke side skirts, and the list continues with the optional features. 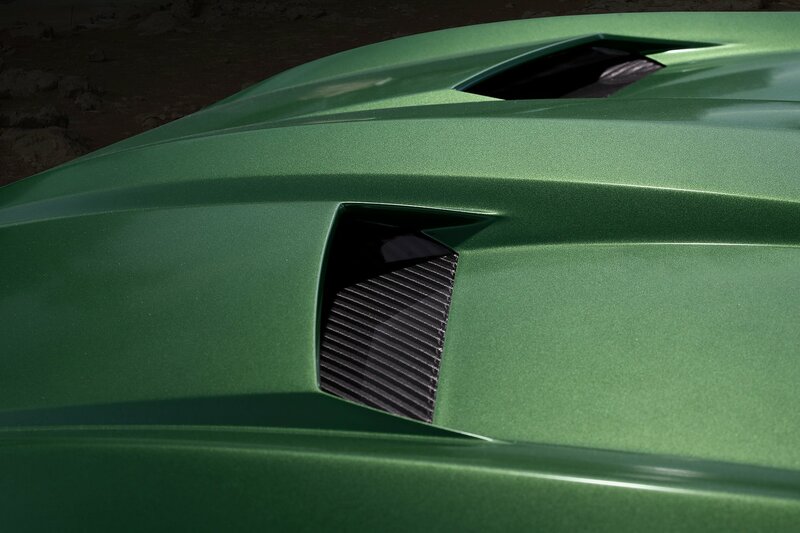 All pieces are optional with customer being able to choose from, depending on his own desires. 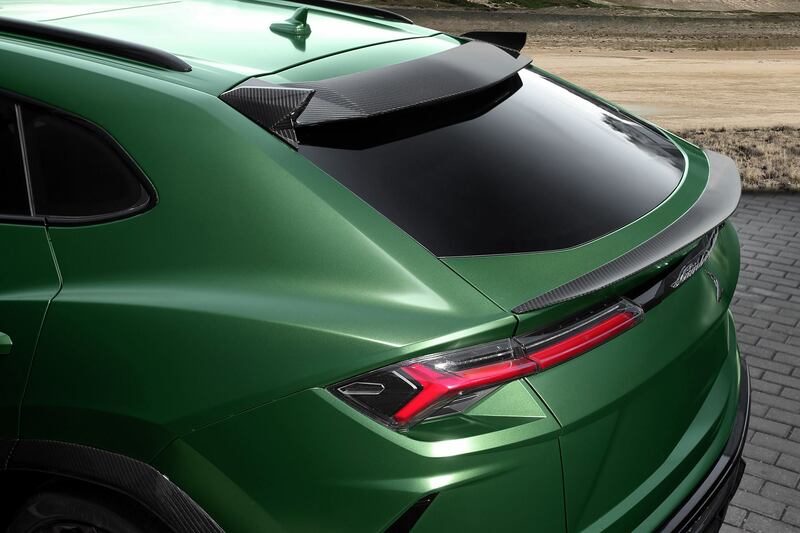 The tuner also offers other components chosen by the customer. 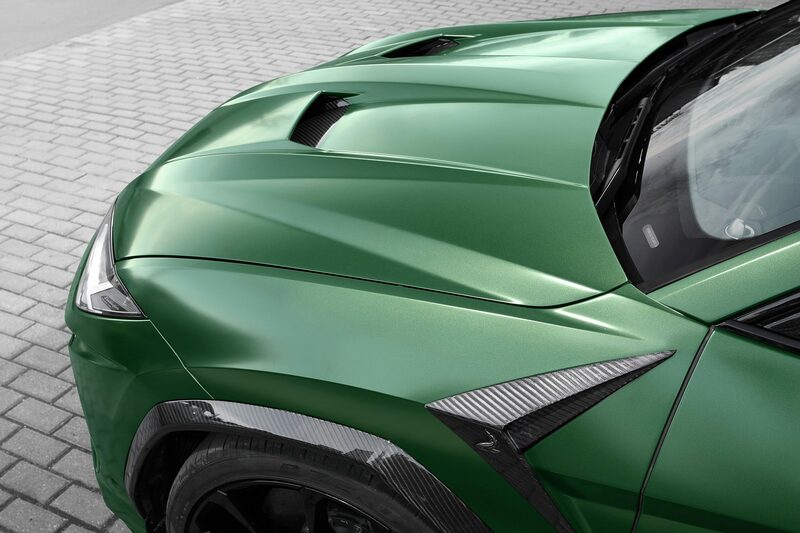 What is most striking at the carbon fiber wrapping is that it is applied on the body in a manner that it creates a camouflage effect, without spoiling the car`s overall design. 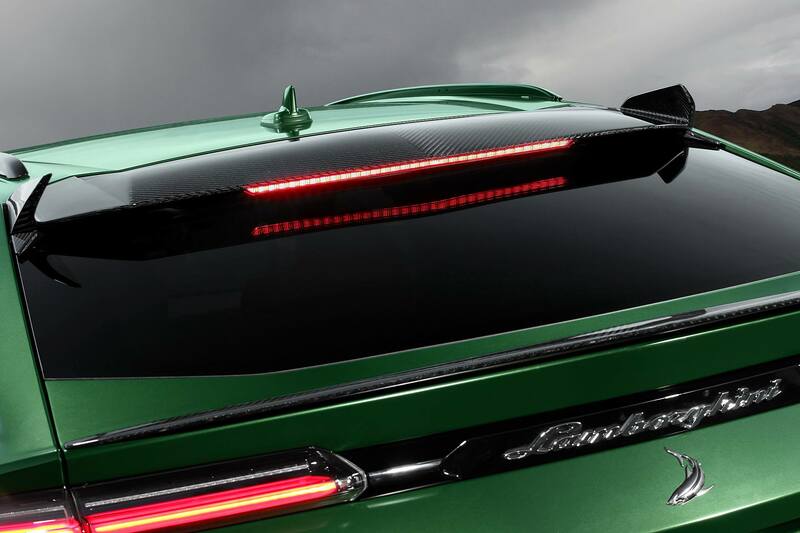 The process is achieved via a special carbon Kevlar weave. 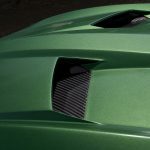 As for the powertrain under the hood, from what we know, the tuner hasn’t mess with the already cheer power and performance. 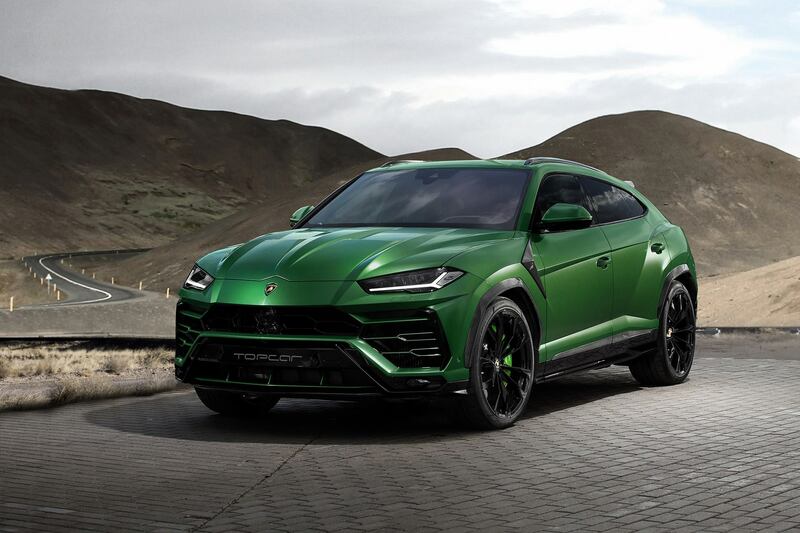 This means that the Lamborghini Urus by TopCat still uses a 4.0-liter twin-turbo V8 engine, the same one shared on Audi models. 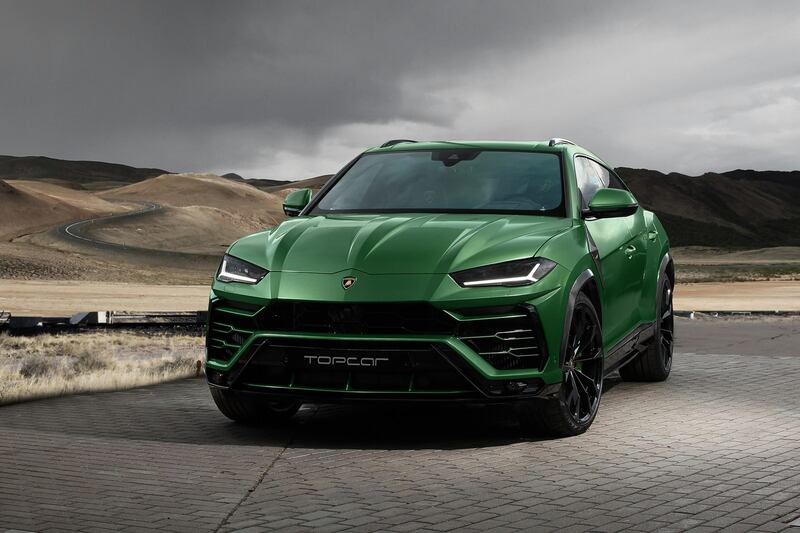 It develops the same 650 horsepower and 726 pound-feet of torque, allowing an acceleration from 0 to 100 km/h in a mind-blowing 3.6 seconds, at a top speed of 305 km/h. 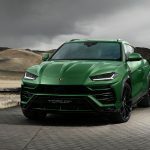 And that makes it the fastest SUV in the entire world, so why change that?